Hundreds, if not thousands, of people walk past Matthew Silver every single day in New York City. You will find him in the subways, or perhaps at popular Manhattan meeting points like Washington Square Park or Union Square, not far from Broadway, where different breeds of performers act daily. Often attired in just a pair of Speedos and with his lengthy and dynamic beard and hair that will continue growing for at least the next five years, he sure is hard to miss. 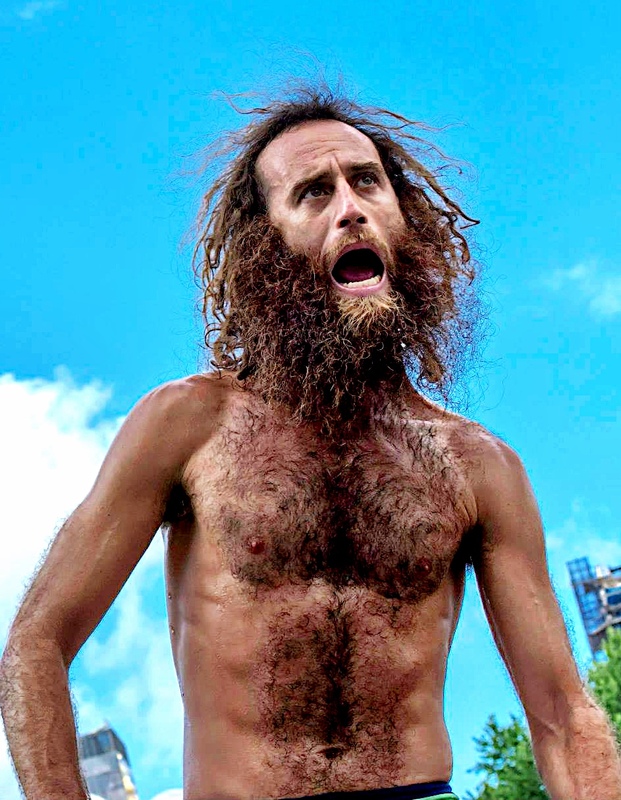 Matthew Silver is clearly a man with a big heart and here’s hoping his performances continue to inspire and move people for a long time to come. If you’re ever feeling down, a quick browse of some of this man’s clips on YouTube ought to put a smile on your face. After all, never forget that every cloud has a silver lining. Visit Matthew’s website for more information and videos: http://www.matthew-silver.com.